The Machine is the stunning debut single from Fiona Bevan, released 10th March on Navigator Records. Written by Bevan - who has already tasted success as a chart-topping songwriter for One Direction - The Machine’s hypnotic rhythm and clanging percussion contrast vividly with it’s spritely vocal and the frisky, looped acoustic guitar. The almost conversational, Sondheim-esque shift sees Bevan urging herself – and her listeners – to take control. On side 2 is a brilliant remix by the acclaimed multi-talented artist/writer/producer Ed Harcourt, which features languid guest vocals from south London rapper Fem Fel. The Machine is the first single to be taken from Talk To Strangers, Fiona Bevan’s debut album released April 28th on Navigator Records. Bevan describes her debut album as “pop in disguise”, and the dozen, dynamic songs have hooks, harmonies and melodies that linger from first listen, but are defiantly timeless, as rooted in the past as they are in the present. Recorded in producer Shawn Lee’s Bloomsbury studio on entirely analogue equipment, Talk To Strangers was recorded with live instrumentation, with Bevan playing guitar, violin, double bass, accordion, and harp. 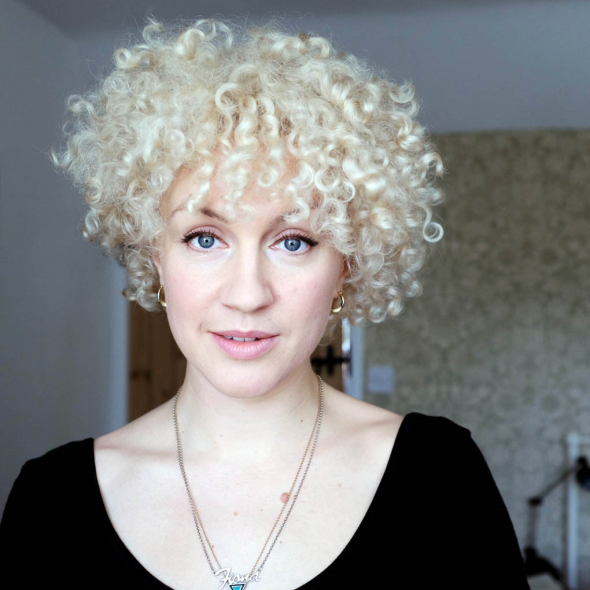 Holding everything together is her extraordinary, sweet voice, as unique and distinctive as her mop of peroxide curls. Suffolk-born, Colchester-raised, and now living in east London, alongside performing Fiona Bevan has established a stellar career as an in-demand songwriter. As well as commissions for film, classical compositions, and a Tate exhibition, she co-wrote Little Things with Ed Sheeran, a 2012 No.1 single for One Direction. Last year, Bevan wrote, recorded and toured with jazz vocalist Gwyneth Herbert. Reviewing the show in London, The Guardian wrote “Bevan took us on startling odysseys that suggested Erykah Badu, Joanna Newsom and Kate Bush spine-tinglingly joined”. Most recently, Bevan was in Los Angeles co-writing with Grammy Award-winning producer John Shanks. As befits someone related to Robert Louis Stevenson, Bevan grew up immersed in books. She began writing poetry aged 8 and joined her first band at 15. A regular on the thriving, DIY singer-songwriter circuit, she hosts a regular night at Servant Jazz Quarters in Dalston (the next event is on Weds 5th March). Bevan has also supported many of her friends and peers including Nick Mulvey, Lianne La Havas, Sam Lee, and John Smith, plus the aforementioned Gwyneth Herbert and Ed Sheeran.